When it comes to texture, this midweight knitted jumper has it all: with a special bouclé finish that feels both soft and substantial. It features tipping detail along the ribbed cuffs and hem, while the crew neck keeps the style classic. 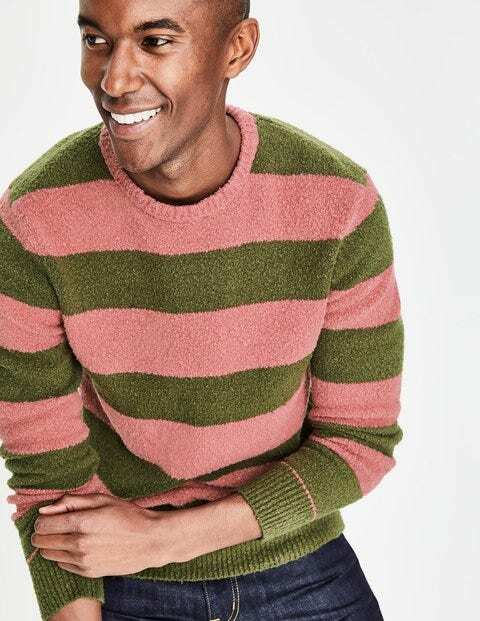 Wide stripes and bold Boden colours make a statement on Sunday strolls and at pub lunches – team with slim-fit chinos or jeans for the perfect weekend look.